1. Top Wings: The upper wings will be larger than the bottom set. Unspool wire and cut to desired length with wire cutters. (We used between 18 and 24 inches per single wing. If you make them too large the pantyhose won’t fit over the wing). 2. 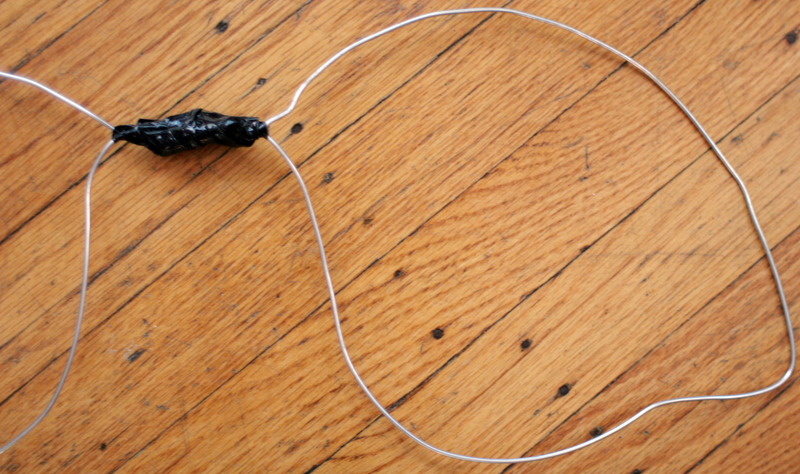 Carefully twist wire ends together and tape with duct tape. Securely wrap any sharp ends with the tape. 3. 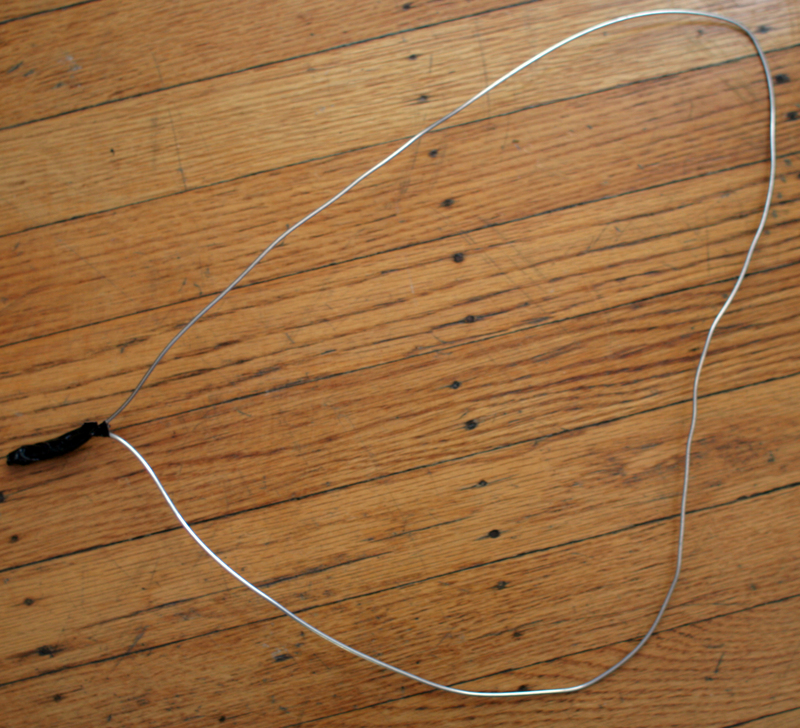 Bend wire loop into wing shape. It helps to have a picture of some wings in front of you to help get the shapes right. Repeat for the second top wing, measuring and bending into the same shape. 4. Repeat steps 1-3 for the smaller set of bottom wings. 5. Tape the set of top wings together as shown. 6. Tape the set of bottom wings together. 7. Cover the wings with pantyhose. (We used two layers for more durability). 8. 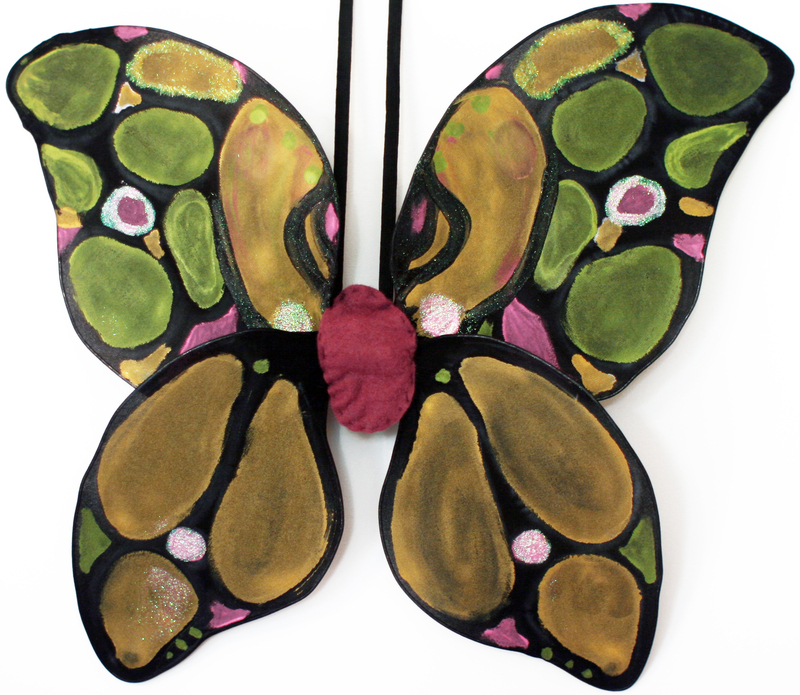 We used cardboard stencils to create decorations on the wings. You can also draw wing designs by hand, but the stencils help make them symmetrical. Spaces between shapes will become the veins on wings once paint is added. 9. 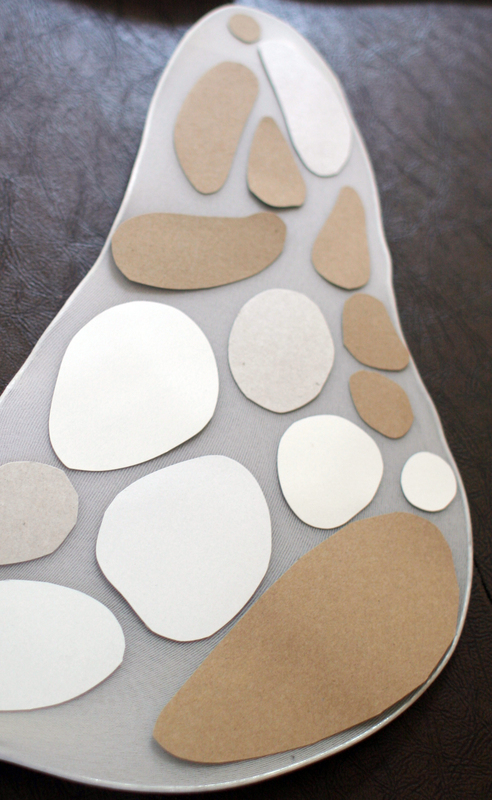 Cut out cardboard shapes, (we used scraps from the pantyhose packaging). 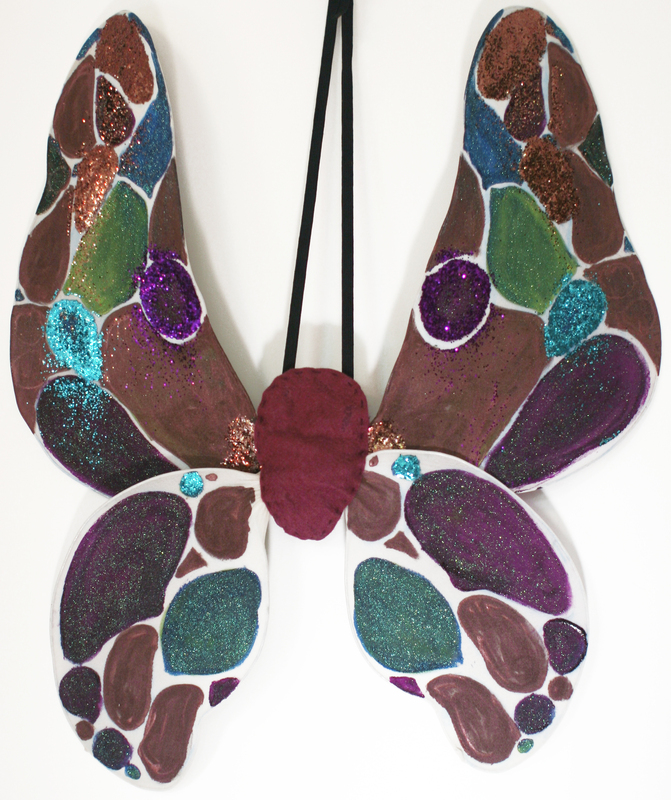 Lay pieces on one wing, trace with chalk and flip cardboard over to create a mirror image on second wing. Chalk can be brushed off or painted over later. 10. Repeat tracing to cover each wing. 11. 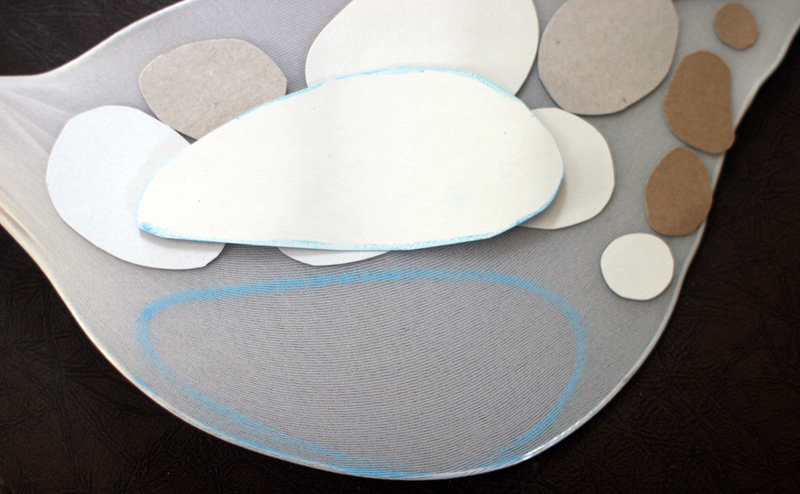 Fill in traced shapes with paint. 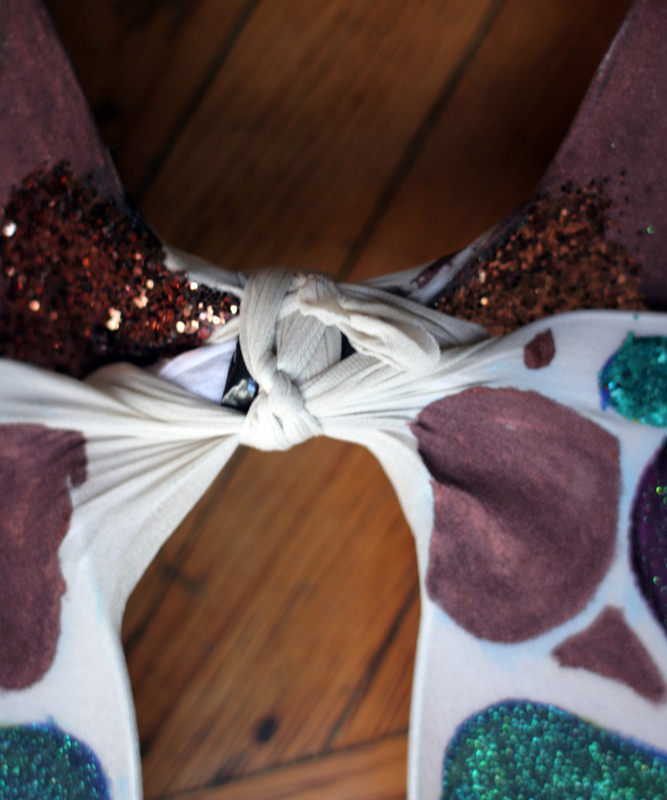 Add glue and glitter as you like. This part is fun! 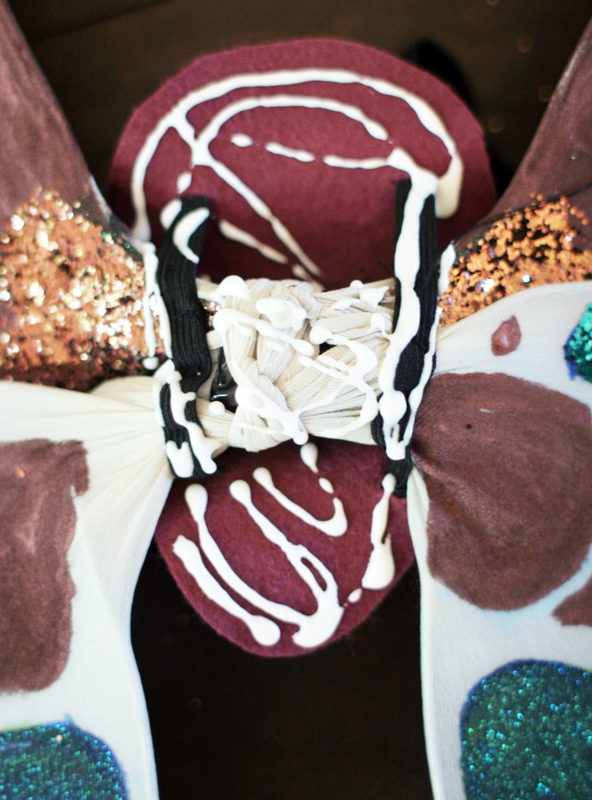 Our black wings had a Velvet Elvis sort of feeling and the acrylic paints create a dusty wing-like finish on top of the pantyhose. 12. Once paint and glue are dry, use the duct tape to position and tape top and bottom wing sections securely together. Tie any loose ends of pantyhose together over the tape. 13. 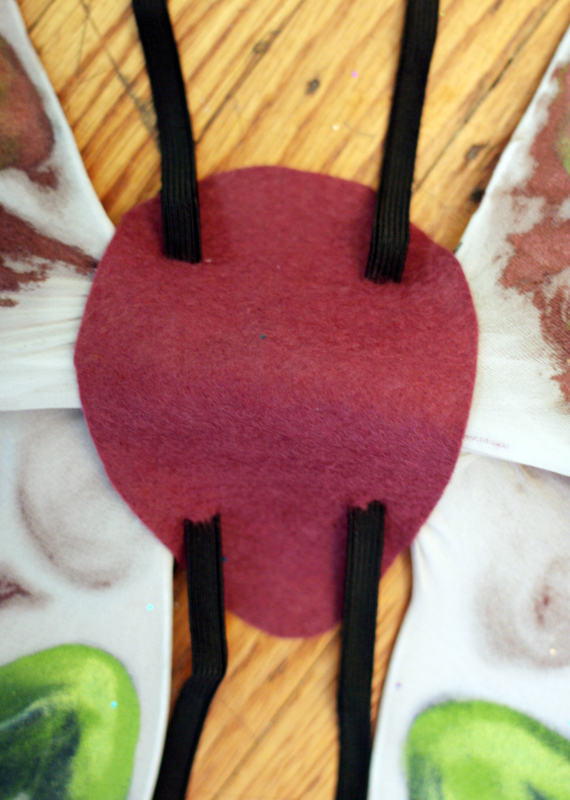 Fold felt in half and cut out two identical pieces to cover center of wings. 14. Measure elastic banding to fit. Straps will go around your back and over shoulders to hold wings securely. 15. 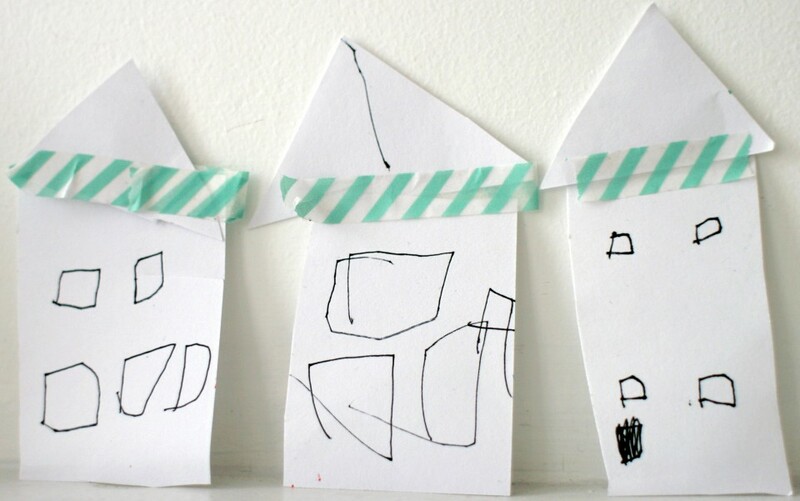 Using scissors, make four slits in one felt layer. This will be the layer that lays against your back. 16. 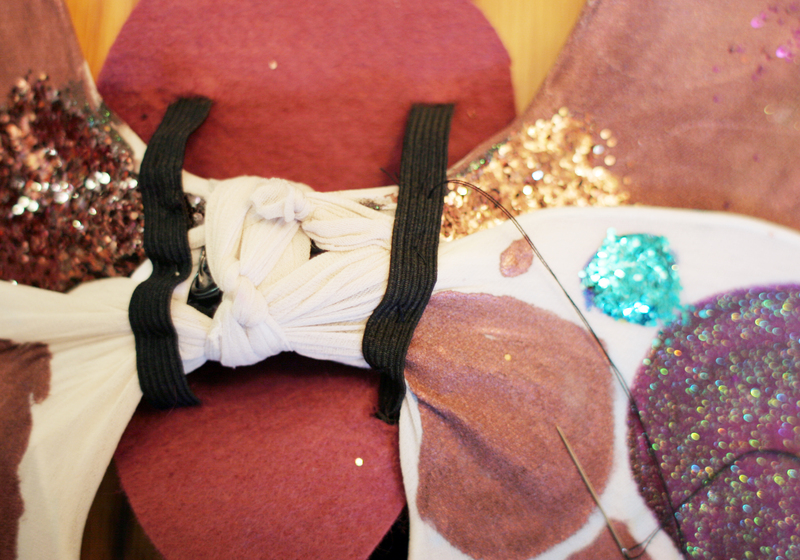 Loop elastic around the wings and back through slits in the felt and stitch in place as shown. 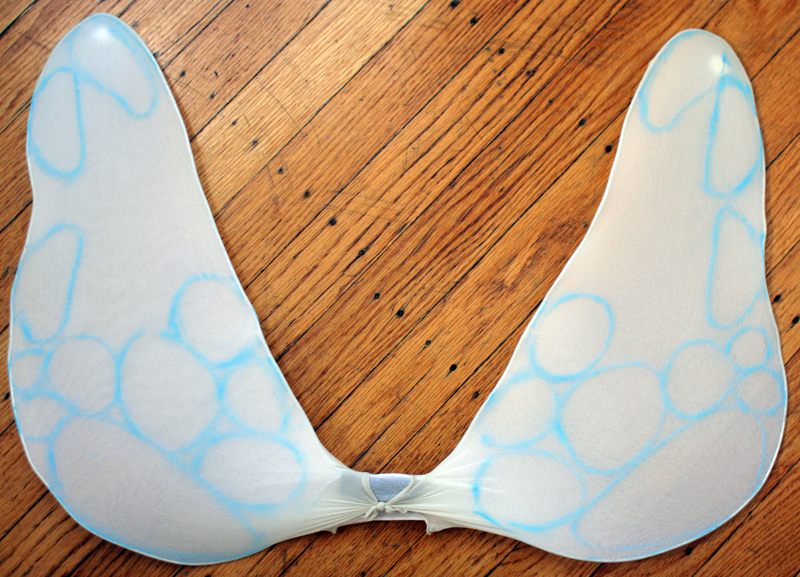 Loose elastic will come out on the unpainted side of the wings, which will lay across your back. 17. 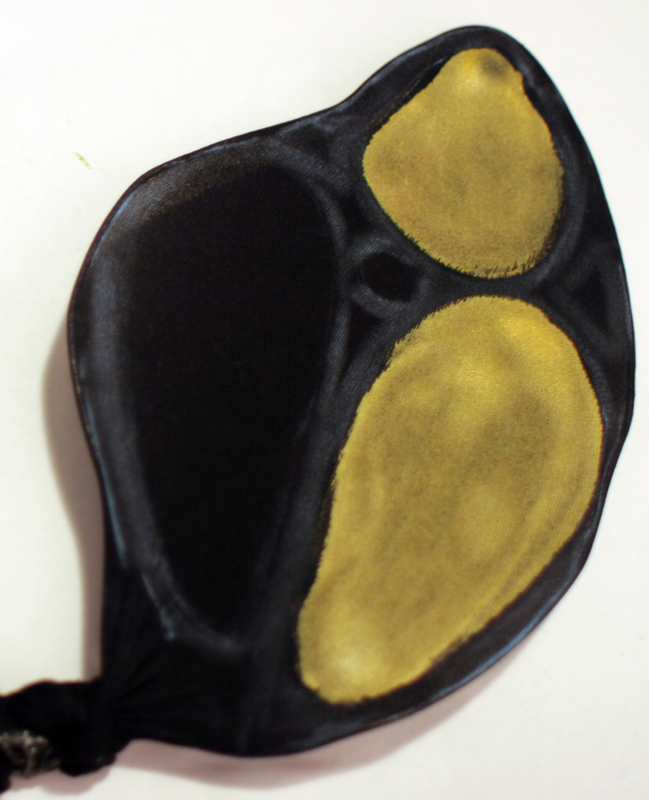 Squirt glue over the first felt layer, position second layer on top and stitch the two together. 18. Allow glue to dry. 19. 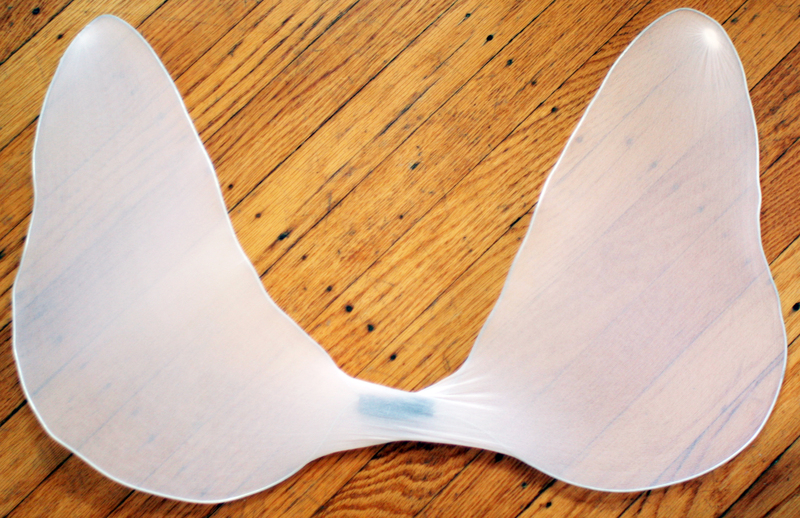 Try wings on and adjust the elastics to fit. Tie loose ends of elastic together to secure. 20. Go for a fly! Beautiful butterfly costumes. Love the colors. Sure miss the girls.